Tired of expensive PaaS or complex tools like Chef or Jenkins? devo.ps is like a GithHub for operations; your team can set up your servers, deploy your apps and automate everything in minutes, on any cloud, on your own terms. See how it works. PaaS can be a great way to get something up and running quickly, but you're effectively locked out of your infrastructure. 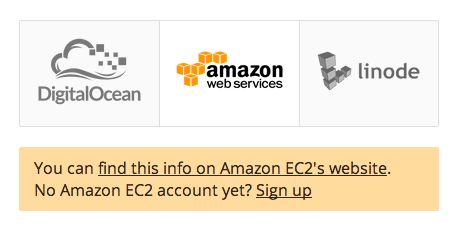 With devo.ps, you can use your own account on Amazon EC2, Rackspace, Digital Ocean or Linode to provision new servers. 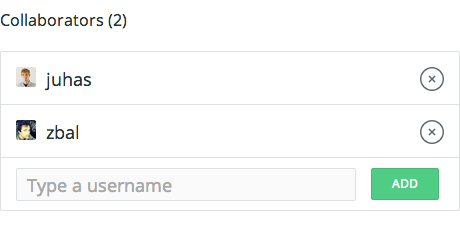 Ever spent half a day trying to configure your stack on a fresh instance? Googling instructions only get you so far, and even then you can't be sure things will hold in production. Just tell us what cloud you want to use and what services you need, we'll take care of the hard, tedious work. 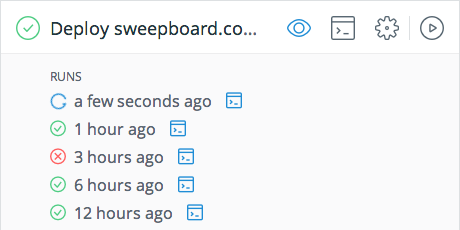 Tired of being asked to give access to a server by a team member? You're probably also taking care of deploying code, ensuring backups are running and managing the cloud provider account. 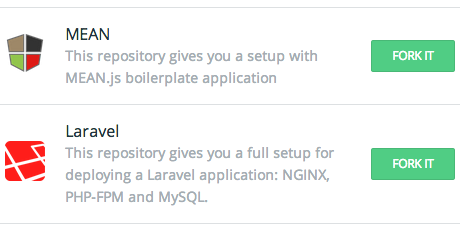 With devo.ps you can safely invite collaborators and start managing servers together. How many times did you promise yourself you would automate the most common tasks you run on a daily basis? Problem is, you never seem to find the time to get this done. 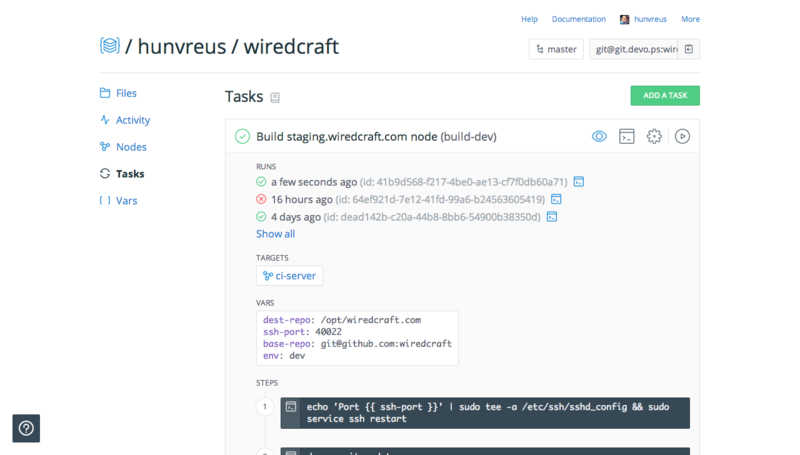 With devo.ps, you can get started right away with setting up continuous deployment, scheduled backups and easily script jobs to run on any of your servers. You don't need to start from scratch every time you start a new project. Simply fork an existing repository from GitHub in one click or use one of your existing project. Get up and running with database backups, deployment pipelines and server configuration in a few minutes. Still not convinced? Come chat with us and ask any question you may have. 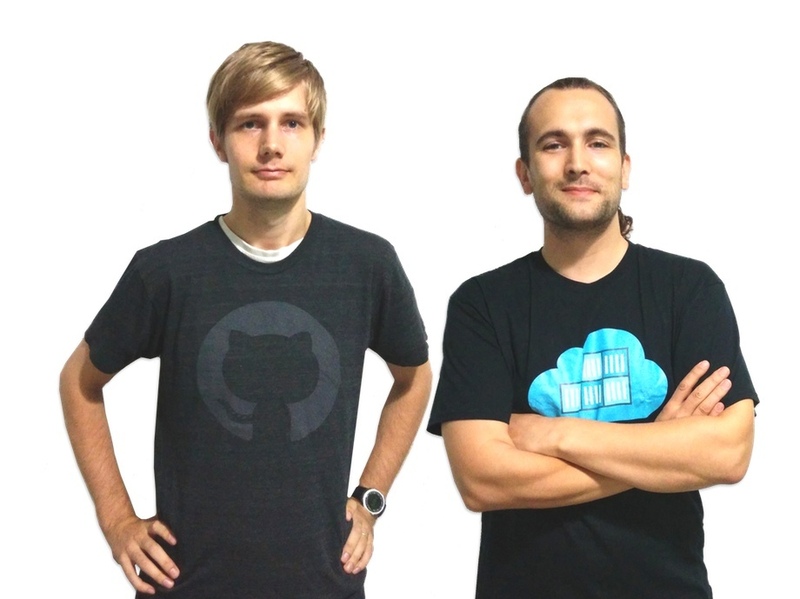 With devo.ps you manage servers like you manage code: with files in Git. 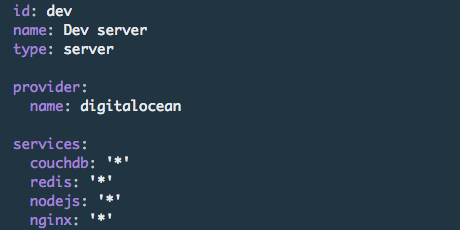 Create and automate servers on AWS, Digital Ocean, Linode or Rackspace using a simple YAML syntax. Your infrastructure is tracked in Git, may this be an update to your deploy pipeline or adding CouchDB on Web 1. Push your changes and we'll take care of applying them to your servers. As simple as that. Writing objects: 100% (4/4), 444 bytes, done. remote: [devo.ps] Git push accepted. We're a small team of technologists. We've worked with a wide range of technologies on small to very large scale platforms. We've had enough of fighting with crappy user interfaces, bloated software and inconsistent APIs when dealing with infrastructure: this is why we're building devo.ps. Come say hi to us in the devo.ps chat.